A major question looming over the Marvel Cinematic Universe is the status of many of its stars post-Avengers: Endgame. With Chris Evans hinting at retiring his Captain America role and Robert Downey Jr.'s Tony Stark being a likely candidate to die in Endgame, the MCU's Phase 4 will be the start of a new beginning. However, there's been no confirmation that Hemsworth and Marvel are in talks for a future Thor film. But in the meantime, the 35-year-old actor is taking on some other roles. Hemsworth is joining the cast of Kevin Smith's upcoming Jay and Silent Bob Reboot. The actor announced the news on his Instagram, with a photo of him and Smith, captioned: "The man, the myth, the legend. The one and only @thatkevinsmith !!! Stoked to be a part of his next film Jay and Silent Bob Reboot. What a pleasure it was hanging out mate." The man, the myth, the legend. The one and only @thatkevinsmith !!! Stoked to be a part of his next film Jay and Silent Bob Reboot. What a pleasure it was hanging out mate ???? The film is the sequel to 2001's Jay and Silent Bob Strike Back, and centers around Smith's character, Jay, and Jason Mewes' Silent Bob as they attempt to stop Hollywood from rebooting Bluntman and Chronic, a comic book first introduced in Smith's Chasing Amy. Hemsworth's role in the film is unknown at the moment, but fans are still excited knowing he's featured in the upcoming stoner comedy. 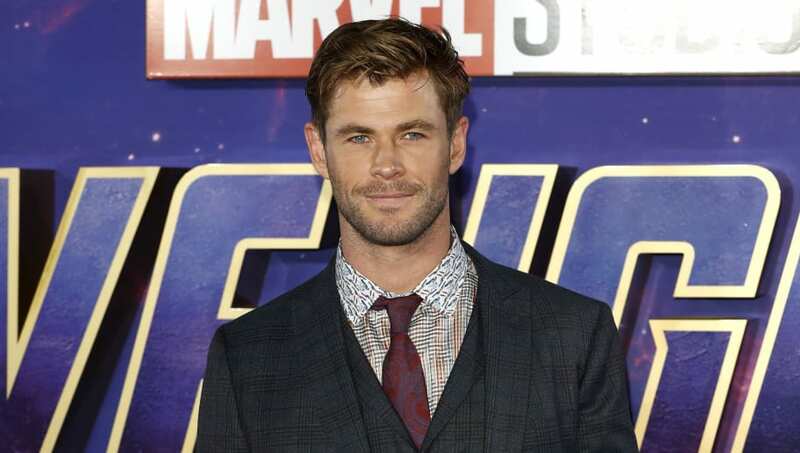 But before he starts shooting his part in Jay and Silent Bob Reboot, Hemsworth will likely play a key part in the battle against Thanos in Avengers: Endgame, which is set for an April 26 theatrical release.